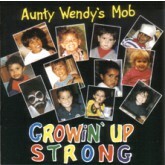 Growin Up Stong is a collection of children's songs with an Aboriginal perspective, inspired by Wendy's many years of teaching Aboriginal children. The songs honour Aboriginal children, celebrate their cultures and educate non-Aboriginal children, encouraging them to appreciate and explore Aboriginal cultures at a very young age. 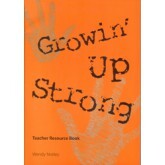 This book is a collection of children's songs with an Aboriginal perspective, inspired by Wendy's many years of teaching with Aboriginal children. The songs honour Aboriginal children, celebrate their cultures and educate non-Aboriginal children, encouraging them to appreciate and explore Aboriginal cultures at a very young age. 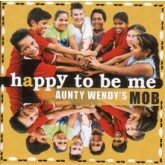 The songs on this CD express the joy and pride that lives strong in Aboriginal children and reflect contemporary interests and life experiences that all children can relate to. Twenty two Aboriginal language groups and communities from around Australia are included in the lyrics. 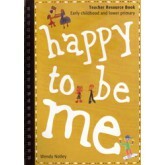 Inside this book, you will find lyrics of all the songs on the Happy to be Me CD, easy to follow illustrated actions for ten songs and song extension ideas. To assist busy teachers, the extension activities are broken down into suggestions for oral sharing/discussion, hands-on activities, related books and websites. 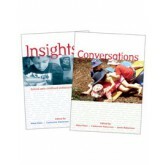 This book promotes the educational value of the oral tradition in Aboriginal cultures and where relevant, links are made to mathematical, literacy and creative concepts that can further extend children in a range of developmental areas. 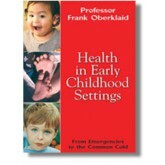 For people working with children from birth to eight years, this user-friendly guide offers information about the more common health issues and problems of early childhood. 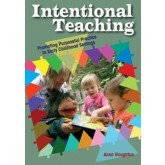 A selection of chapters commonly found on university reading lists in one handy eTextbook. After consulting with the authors and lecturers who use both Insights and Conversations, we have combined a group of chapters in this volume and priced it to match the budget of students. 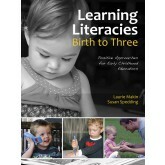 The authors present information about the early literacy learning of babies, toddlers, and young children. 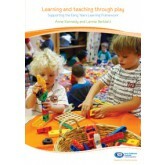 They offer many practical strategies to support and monitor early literacy learning, and provide resources that can be used to develop partnerships with families. Liam’s Story: So why do I wear Dad’s medals? Liam’s Story is a true story and the people in the pictures are the real characters in the story. Liam’s Story deals with the feelings experienced by one young boy, whose father was killed on active duty in a recent conflict, as he goes about his day on ANZAC Day. As well as exploring empathy and resilience in young readers, it explains a difficult concept such as war and the effect it has on children and families. 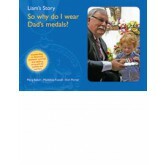 Liam’s Story: So why do I wear Dad’s medals? is also about ANZAC Day, yet it can be used as a resource all-year round when discussing issues of war and loss with children. 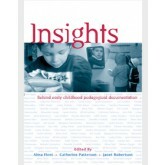 The authors have included references to both Australia and New Zealand throughout. With the ANZAC centenary this year, the book should prove especially popular yet it is not tied to the centenary and so can be used as a classroom resource for years to come. The book is designed to be read on three levels. If reading to a very young child, you can simply read the text in the yellow banner across the top of the page. If reading to a slightly older child, that yellow banner text flows into the text beneath it in the blue section of the page. The addition of the fact boxes make it an ideal learning resource as well as these link in with the early primary history and social sciences curriculum. 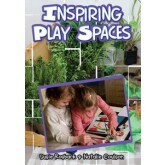 Extension activities and teaching notes will be available on our website as a resource for educators and families. Liam’s Story is based on research conducted by the authors through the University of New England.